The Golden State offers some of the most diverse scenery in America, with everything from beautiful beaches and wild coastlines to the vast cactus-filled desert, lush vineyards and soaring mountains. But for those visiting outside of the U.S., it’s arguably best known as the place that’s home to Hollywood, and a host of celebrities. 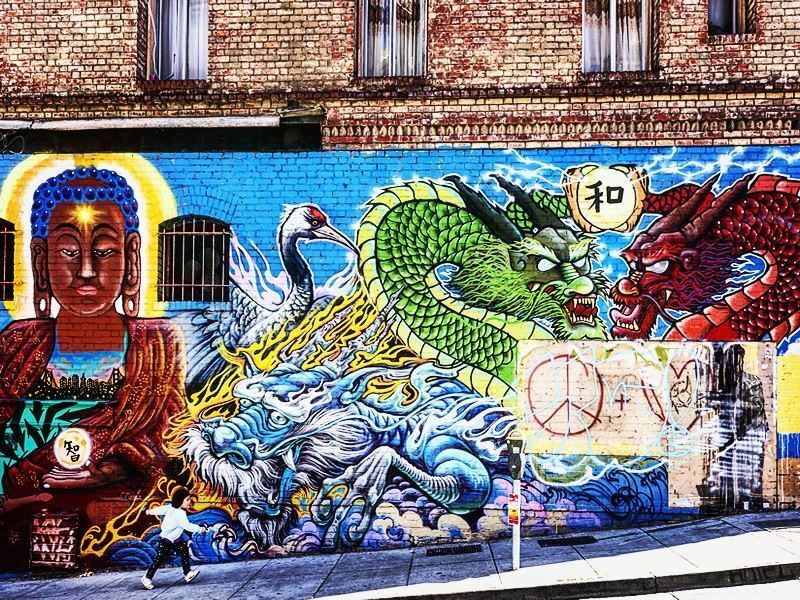 While the Los Angeles area has been the site of numerous filming locations, there are a host of iconic movies and television shows that have been shot throughout the state. And, for the film and TV buffs, there may be no better way to spend a vacation in California then exploring some of its most amazing filming locations, including these. 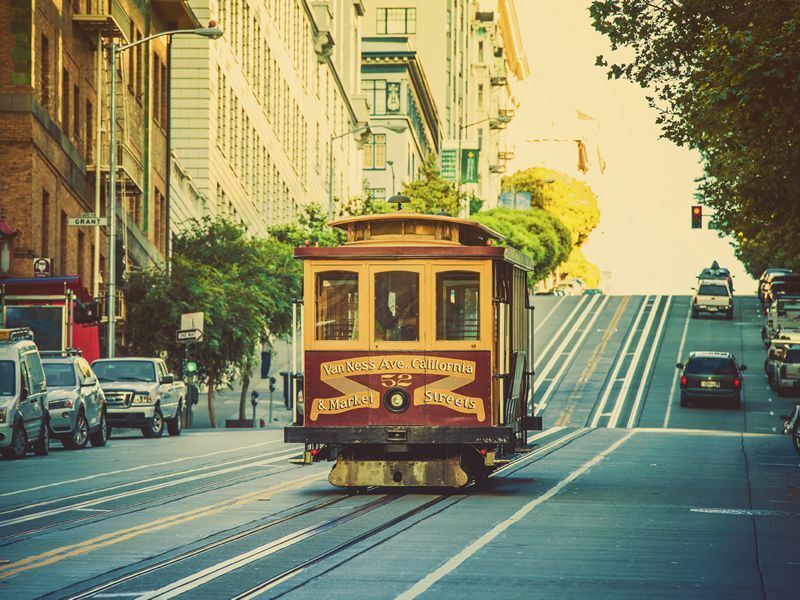 Though it hasn’t been on air for decades now, San Francisco will forever be associated with the 1970's TV series, The Streets of San Francisco. The crime drama was filmed entirely on location in the city, and throughout the Bay Area. While some of the scenes have changed since, many are still quite recognisable. One of the best spots to visit is 287 Union Street, the location of Steve Keller’s house. During the pilot episode, when Mike Stone was driving there, you might recall getting a fabulous look at the surrounding streets. In Season 2, Stone’s house at 768 De Haro Street was featured. Located on Portreo Hill, it offers an incredible view of the downtown skyline. Dirty Harry is one of the most iconic film characters associated with the Golden Gate City. You can stand in renegade cop Harry Callahan’s footsteps at 555 California Street, which is the Bank of America building used in the opening scene. The Hilton Hotel at 750 Kearney Street in Chinatown is the site of the famous swimming pool in the opening sniper sequence, and the Cross at Mt. Davidson, featured in the episode “Ransom Run,” can be found at Mt. Davidson Park. Walk the trail, located at Lansdale Avenue and Dalewood Way, and when you come out of the clearing, just like Harry, you’ll see the cross along with some spectacular views of the city and the bay. 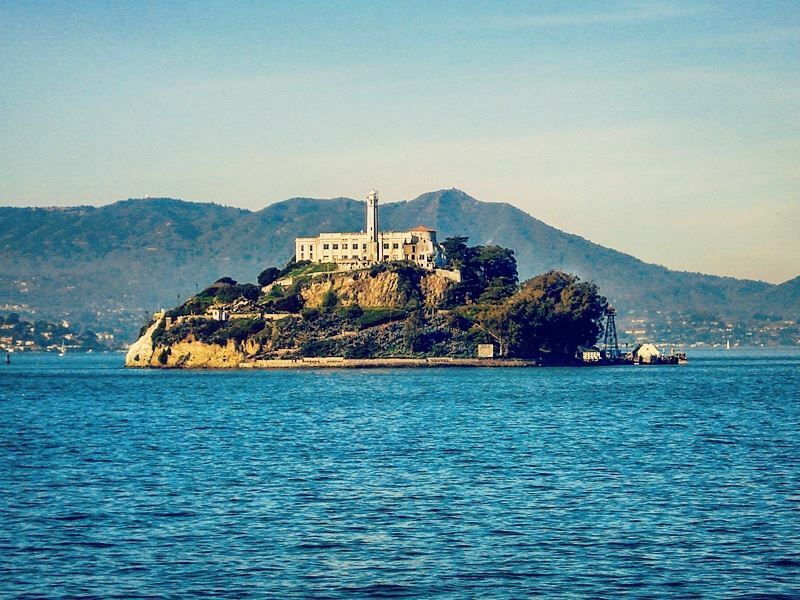 The Rock may have starred Nicolas Cage, Ed Harris and Sean Connery, but the real star was Alcatraz, the infamous island that was home to a federal prison from 1933 to 1963. One of the best ways to explore this filming site is to take a haunted tour of Alcatraz after dark. As one of the most chilling destinations in not only San Francisco, but the entire country, many visitors have felt cold spots and some have even heard the sounds of unexplained moaning and mysterious music. Finally, another movie that’s almost always on the list when one things of films set in this magnificent city, is Mrs. Doubtfire. Many of the locations you saw were filmed right in San Francisco, including the family’s home at 2640 Steiner Street. Although it is occupied, you’ll frequently see visitors gathered around it taking photos. The children’s school was actually the City College of San Francisco’s Chinatown Campus, located at 940 Filbert Street, and the courtrooms scenes were shot at the old San Mateo County Courthouse in Redwood City, about 25 miles south. By taking a short jaunt north of San Francisco to Sonoma County, you’ll not only get to soak up jaw-dropping coastal scenery, but you can visit the village of Bodega Bay, famous as the setting for Alfred Hitchcock’s thriller The Birds. While many of the scenes were shot in a studio, a few were shot here, including the Potter Schoolhouse, where the birds began attacking the village’s children. If you’re a Goonies fan, venture about 15 miles further north to the town of Jenner and take a stroll on Goat Rock Beach – this is where the final scene was captured. American Graffiti was shot near Schellville along Highway 121 between Napa and Petaluma, and the Santa Rosa Air Center, located six miles southeast of the Santa Rosa Airport, was used in the movie Die Hard II. Some of the best scenes of the picturesque Napa Valley can be seen in The Parent Trap, including the vineyard. The Staglin Family Vineyard and the owner’s home were both featured in the film, located just north of Robert Mondavi Winery in the Rutherford Appellation. It’s open for tours and tastings. About an hour south of San Francisco, the legendary beach/surfing town of Santa Cruz was the filming site for two very popular films. The Lost Boys took place in the fictional town of Santa Carla, but in real life, it was shot right here, mostly in and around the famous Santa Cruz Beach Boardwalk. Grandpa’s house can be found at 333 Golf Club Drive. Sudden Impact, a Dirty Harry classic, started out in San Francisco, but most of it was filmed in Santa Cruz, including many scenes at the Boardwalk. The car chase scenes took place at the Pacific Garden Mall. The Santa Ynez Valley is another popular wine country region in the state. As such, it was used as the setting for much of the award-winning film Sideways, when the stars, Paul Giamatti and Thomas Haden Church go on a road trip. 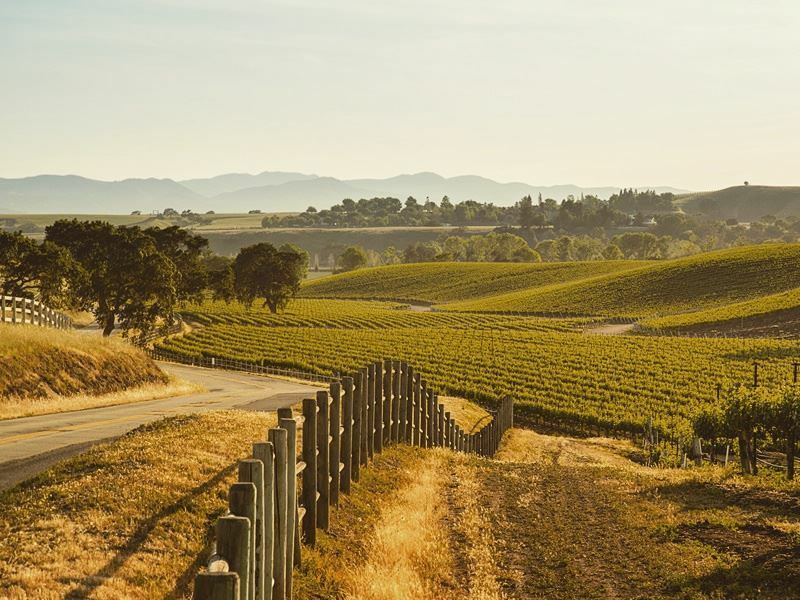 They visit some of the area’s best wineries, including Buellton’s Sanford Winery and the Hitching Post II, as well as Kalyra Winery in Santa Ynez, Fess Parker Winery in Los Olivos, and the Los Olivos Merchant & Café. By heading to Solvang Restaurant in Solvang, AKA “little Denmark,” you can even enjoy breakfast right were Jack and Miles had their morning meal. There are so many movies and television shows that have been shot in and around L.A., it would be impossible to list them all. In fact, just driving through the area, you’ll probably notice that much of it looks very familiar. 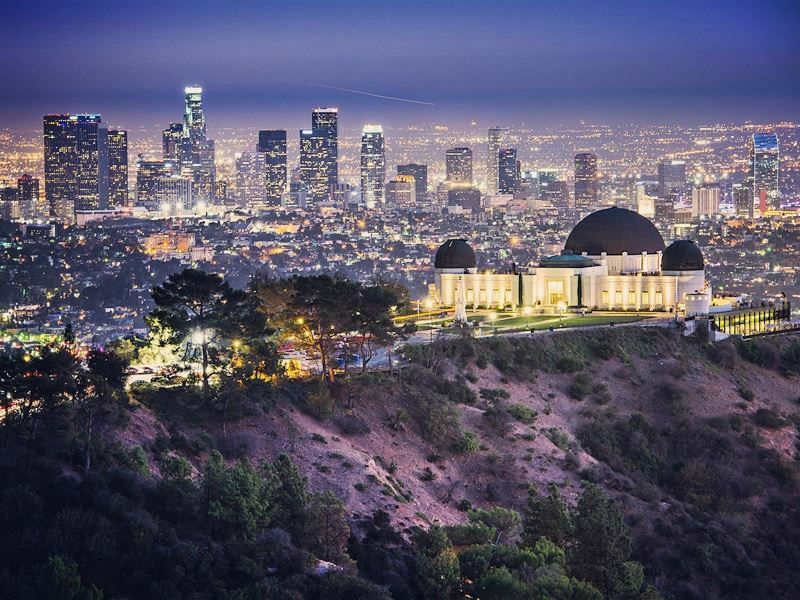 But if you’d like to visit some of the specific locations of your favourites, you might start out at the Griffith Observatory, which happens to be nearly as iconic as the Hollywood sign. For movie buffs, it’s probably best remembered as the signature location of James Dean’s Rebel Without a Cause. It’s here, inside the planetarium, where the young actor who was playing the new student tries to impress his fellow classmates. The three-domed building was also used in the opening scenes of James Cameron’s The Terminator, when the killer cyborg travels back in time and first appears right here, before stealing clothes from some of the kids who were hanging out nearby. The movie that helped to launch the action-comedy genre, Beverly Hills Cop was shot across Los Angeles. The scene where Mikey and Eddie were playing pool, was supposed to be in Detroit, but it was actually shot at a Santa Monica bar, Harvelle’s, located at 1432 4th Street. Eddie’s Detroit apartment wasn’t the Motor City either, it’s in a seedy area near downtown LA at the southwest corner of Witmer Street and Ingraham Avenue, a block south of Wilshire. Eddie takes a cruise through Beverly Hills in a beat-up Chevy Nova, and, by driving west on Sunset Boulevard, you’ll get the same perspective – you can gaze up at the Beverly Hills Hotel, just like Eddie, which is located at 9641 Sunset where it meets Rodeo Drive. Back to the Future, opens up with Marty McFly (Michael J. Fox) trying out his electric guitar in Doc Brown’s garage/lab. While that was just a façade, next door at 4 Westmoreland Place in Pasadena, is the historic Gamble House which served as Doc’s original 1955 home in the movie. It was also used in the fantasy action film Zathura. Who doesn’t’ remember Pretty Woman? Toward the end of this Julia Roberts’ film, when Vivian convinces Edward (Richard Gere) to take the day off work, they’re in downtown L.A. at what’s now known as Grand Park. The pair also read Shakespeare together here under a tree, and when Vivian announced that she wants a “snap dog,” they’re at the park’s Arthur J. Will Memorial Fountain. 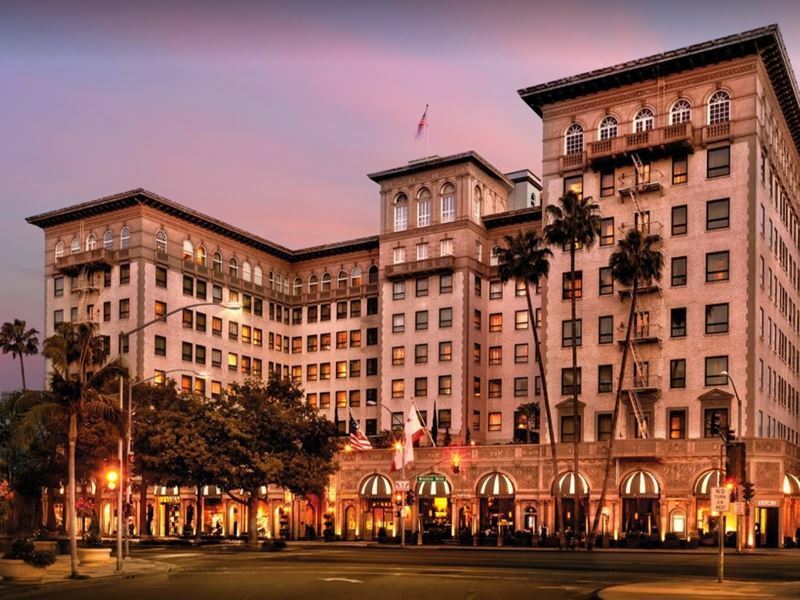 The luxurious hotel where she gets her first taste of the “good life,” is at the 1928 Regent Beverly Wilshire, found near Rodeo Drive in the heart of Beverly Hills at 9500 Wilshire Boulevard. If you’re a fan of action films, be sure to stop by Fox Plaza, aptly located at 2121 Avenue of the Stars. The plaza’s most famous appearance was in Die Hard, serving as the fictional Nakatomi Plaza. It was also used as one of the buildings that was brought down in the final scenes of Fight Club, is featured Grand Theft Auto V as Weazel Plaza, and, its lobby was used in the opening scene of Speed. Although the Mojave Desert is just a couple hours east of L.A., it’s like stepping onto an entirely different planet. Pioneertown, five miles north of Yucca Valley, was built in the 1940's as a live-in Old West motion picture set. Today, it’s a real-life town where you can stroll down the dusty streets and imagine the stars that were here in its heyday, like Gene Autry, Barbara Stanwyck and Annie Oakley. A number of Westerns and early TV shows were shot here, including Judge Roy Bean and The Cisco Kid. The site that is now a popular restaurant, bar and live music venue, Pappy & Harriet’s, was used as a “cantina” set for Westerns well into the 1950's. 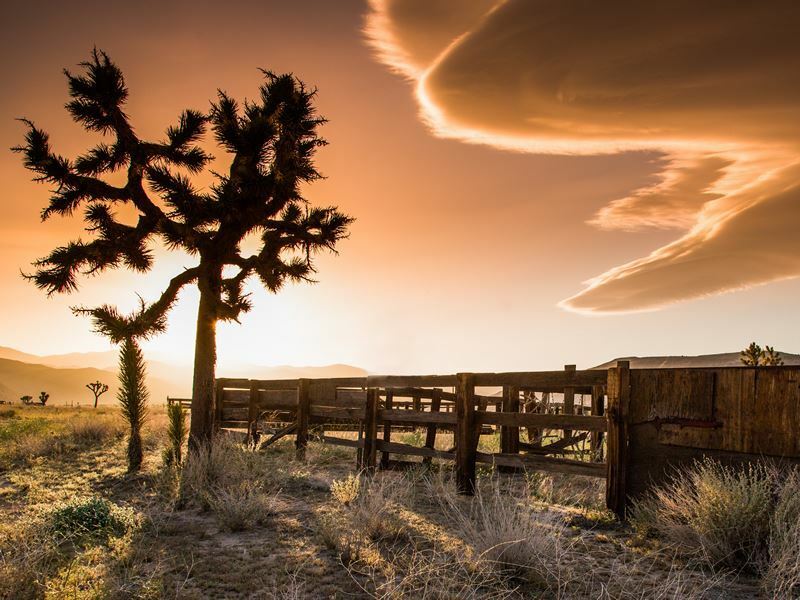 In Inyo County, Lone Pine, which is considered “frontier” land by the U.S. Census Bureau, was a popular site for a number of major motion pictures about the Old West in 1920. More recently, it’s been the setting for Gladiator, Transformers: Revenge of the Fallen, and The Lone Ranger. Death Valley National Park was used as a setting for Star Wars Episode IV – A New Hope and The Return of the Jedi. One of the most popular films ever shot in San Diego is Top Gun. Kelly McGillis’ character lived in a beach cottage at the corner of Seagaze Drive and South Pacific, and the intersection of W. Laurel Street and Union Street was where the famous motorcycle scene took place. Visit the Red Fox Room at the Lafayette Hotel, located in the North Park neighbourhood at 2223 El Cajon Boulevard, and you can even embarrass yourself by singing just like Goose did. San Diego also appeared in Orson Wells’ classic, Citizen Kane. Balboa Park doubled as the setting for Kane’s mansion in Florida. The zoo aviary, El Cid statue, the Prado and the Museum of Art also made appearances in this mystery drama. Head over to Coronado Island, located just minutes from downtown San Diego via the San Diego-Coronado Bridge, and pay a visit, or even better, enjoy an overnight stay at historic Hotel Del Coronado. Here, you can walk in the footsteps of the likes of Marilyn Monroe, Tony Curtis and Jack Lemmon, who all starred the classic comedy Some Like It Hot. While only exteriors were shot on location, the cast and crew all stayed at the hotel during filming. With so many filming locations to discover, how does one possibly going about seeing it all? The best way is to embark on a self-drive trip. 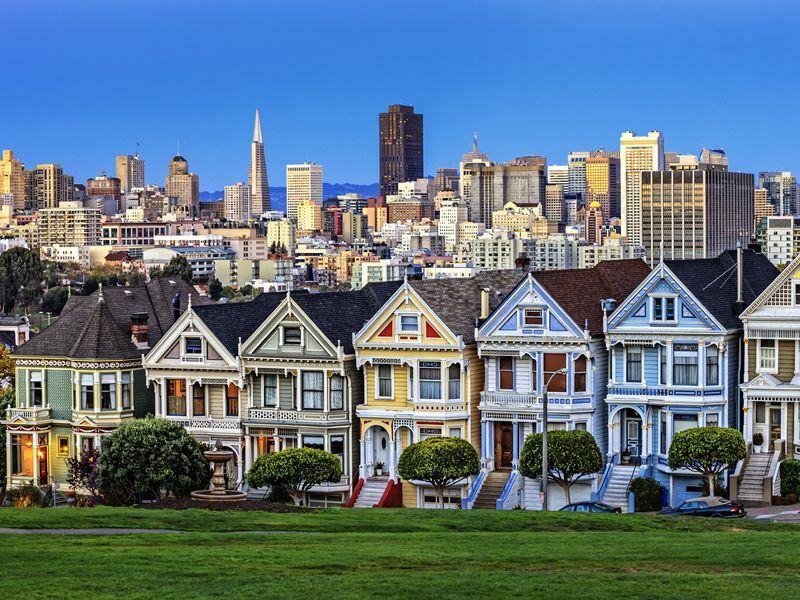 Fly into San Francisco and spend at least a few days exploring the city before heading north along the coast and then inland to the Napa and Sonoma Valleys. Afterwards, venture south on legendary Highway One, famous for its awe-inspiring coastal scenery, before exploring the Santa Ynez region. Be sure to include lots of time for visiting Los Angeles and the surrounding area – when you’re finished, you’ll be ready for the wilds of the desert. Concluding this unforgettable adventure in San Diego means that you’ll be able to relax on picture-perfect beaches, reflecting on all that you’ve experienced.